How much does a Positive Crankcase Ventilation (PCV) Valve Replacement cost for your car? The cost of a Positive Crankcase Ventilation (PCV) Valve Replacement depends on the type of car you drive. On average, you save 0% with Fiix. 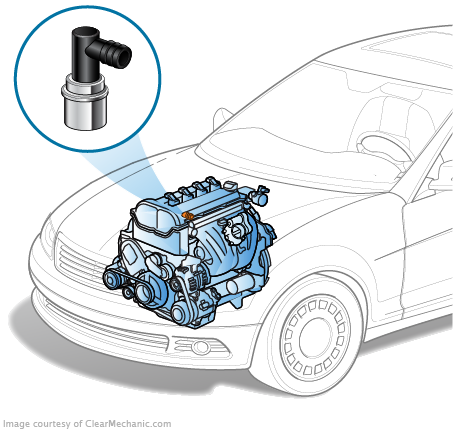 What Is A Positive Crankcase Ventilation (PCV) Valve? The PCV valve connects the intake manifold to the inside of the crankcase, allowing gases to flow to the manifold where they can be combusted. Excess fumes can then be used instead of released as emissions. Your gas mileage will be much worse because of the poor burning mechanism, so we recommend you have it replaced as soon as possible otherwise your gas bill will be more expensive than your repair. If you notice any of these symptoms, call a mechanic for an inspection immediately.